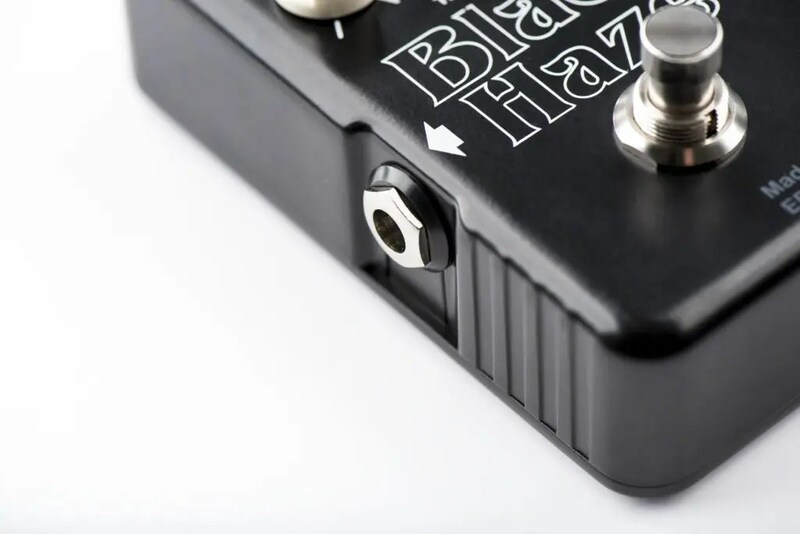 "The Dark Chocolate of distortion pedals"
THE BLACK HAZE IS AN ANALOG FUZZY OVERDRIVE PEDAL IN THE NEW 'BLUE LABEL' PEDALS SERIE, WITH A DARK AND RICH CHARACTER SUITABLE FOR BASS AS WELL AS FOR GUITAR. 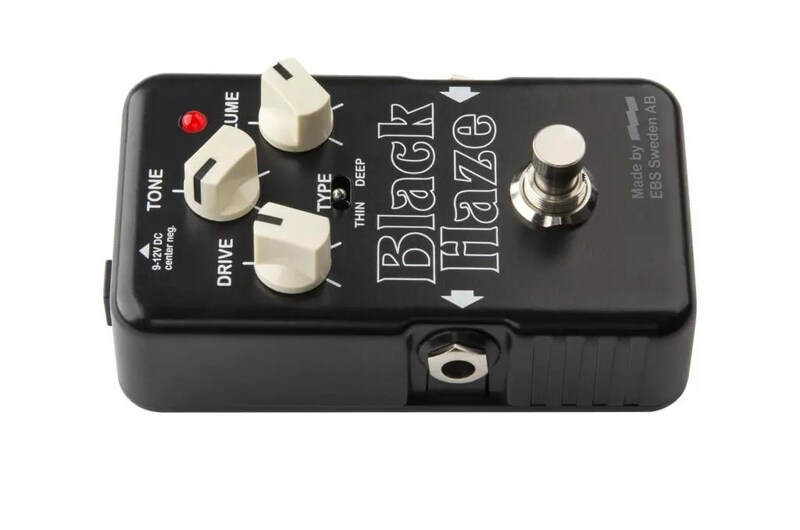 The Black Haze is a fuzzy, drive pedal with some darkness to it to make it interesting and irresistible. 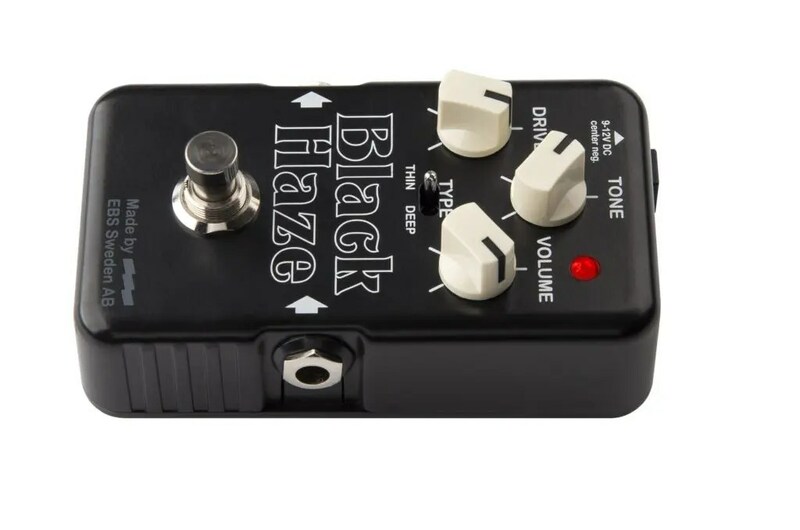 The Black Haze features dual drive engines and low-range compensation that offers great sustain, lots of gain and beautiful harmonics without losing the bottom. Use the controls to tweak your sound, and pick your favorite character between Thin, Normal and Deep, where Deep makes it interesting and dark while Thin and Normal tightens up your tone and makes it stand out more. 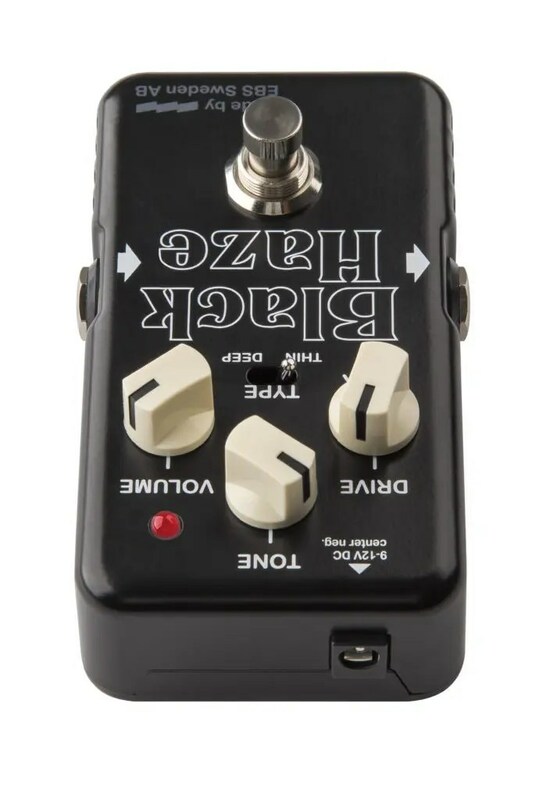 This is the drive pedal for you if you look for something slightly different. It's a new flavor of drive on the EBS table. 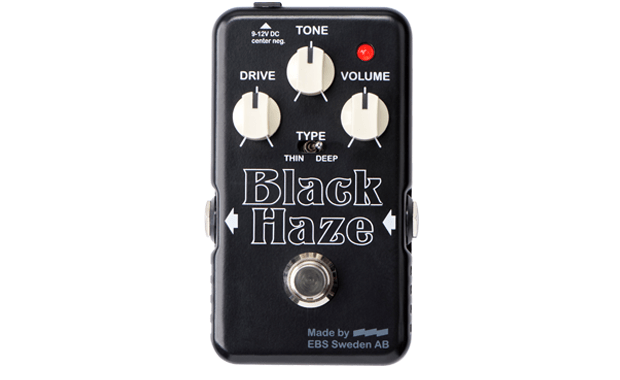 The Black Haze is developed by EBS with input from several Swedish top session guitarists. See pedal photo in player for settings for each track. EBS Blue Label Pedals are designed and developed by EBS in Sweden. 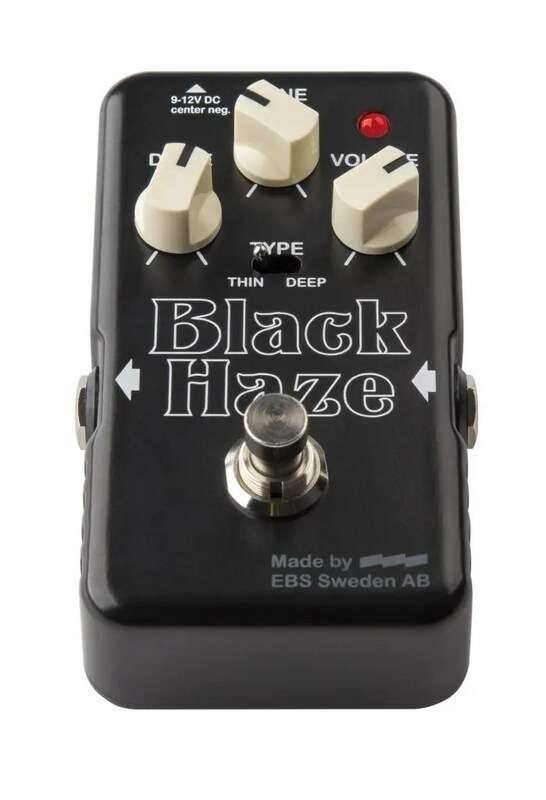 Do you have an EBS Black Haze, The Drive or Drive Me Crazy pedal and experienced inconsistent switching functionality?